Completely remodeled four bed/three bath home built on a 75X140 lot. Over 3,000 total usable square feet. High end custom finishes throughout. New Luxury kitchen including quartz counters, stainless steel appliances and hardwood floors. Breakfast area overlooks beautiful family room. New Furnace and AC Unit. New Flooring, Light Fixtures, New sliding door and New Front Door. Large foyer, vaulted ceilings, six panel doors. Three bedrooms upstairs plus a fourth on the lower level. Three completely updated full baths. 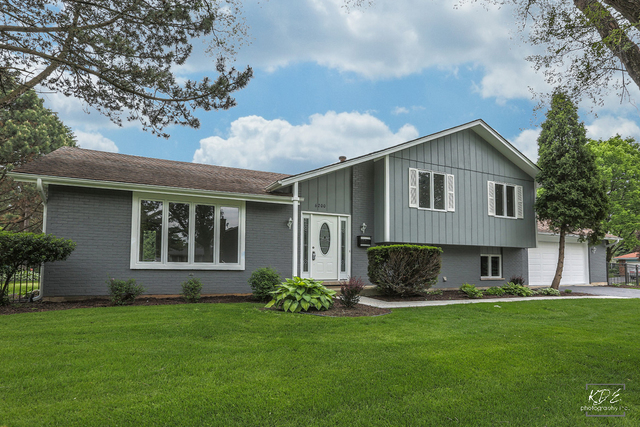 Located on a quiet street just 1.5 miles from downtown Downers Grove. All this in a walk to grade school, middle school and YMCA neighborhood!